An employee wellness program can be incredibly beneficial to both employees and the company, with improved health and well-being, increased productivity, and lowered healthcare costs just a few of the many advantages of these plans. But if employees are not using these programs, the chances of reaping these benefits is incredibly low. Considering what your employees actually want is a critical step in designing an effective employee wellness program. While you may be anticipating requests for options only offered by large, hugely profitable corporations such as Google, you may be surprised to learn that what employees seek is often quite reasonable — and will be valuable to the company as a whole. By designing a program that takes into account the wellness initiatives that your employees truly want, you can maximize participation and the return on your investment in the form of happier, more productive employees and lower costs. A benefits consulting firm can help you determine what your employees actually want. They can accomplish this through a combination of methods, such as taking a survey of all staff or forming a committee to explore various options. By asking for employee input directly and seeking feedback throughout the process, the program is more likely to be successful. This article explores the most commonly requested wellness initiatives, which can be a good starting point for kicking off your own employee wellness program. When it comes to working out, convenience is key. That is why so many employees want a convenient exercise option, such as a gym right in the office. While this may not be practical for all companies, if the space is available, it may be something worth considering as a part of an overall employee wellness program. Having a gym or workout room at work can help employees squeeze exercise into an already packed day. Many people would like to work out more often, but they are already stretched to the limit between commute times, taking care of children, and maintaining their homes. With a gym at work, staff can spend their breaks or lunch hour working up a sweat. They will come back to their work stations more refreshed and energized, ready to tackle their jobs with renewed vigor. An on-site workout facility does not have to be expensive or complicated. It could be as simple as a large room with some free weights, mats, exercise balls, and a TV with a DVD player for exercise videos. Lower cost exercise equipment such as bikes and treadmills could be added to give employees more ways to exercise. Staff with particular skills could lead classes, or the company could bring in a teacher for a regular class, such as a yoga or pilates session several times a week. As an added benefit, on-site facilities can help to increase camaraderie between employees. People who work out together often feel a sense of community, which can increase the level of cooperation and respect between employees. When it comes to getting healthy, one-size-fits-all options are not as beneficial as those that provide a higher degree of personalization. That is why so many employees seek a higher degree of personalization in their wellness initiatives. Technology is one way to achieve this goal. Apps, smart pedometers like Fitbits, and other web-enabled choices to help employees get the health and fitness experience that works best for them. For example, a company could fund the purchase of different apps to help employees meet their wellness goals, such as food diary apps like Lose It for workers trying to lose weight or exercise trackers for those trying to improve their overall fitness. Companies can explore a number of technological alternatives to give employees a more customized experience. Beyond technology, giving employees access to expert advice and one-on-one counseling can help them meet their goals as well. This may include scheduling sessions with a nutritionist, a personal trainer, or a coach to give employees a boost in their healthy living targets. Costs for these experts can be contained by exploring the use of remote consultations using Skype or Facetime, or by making these experts available for consultation for several employees on specific dates. Now more than ever before, Americans recognize that mental health is an important component of overall well-being. That is why employees place a high priority on support for mental health issues, including stress management programs. Stress can impact employee’s health and their ability to concentrate and do good work. Employers can help employees reduce stress through a number of wellness initiatives, such as offering yoga classes, encouraging breaks throughout the day to take a walk or do another healthy activity, or establishing more innovative programs such as offering art classes or concierge services to help reduce employees’ stress. Support for mental health issues is also critically important to overall employee health. Traditionally, employers have offered Employee Assistance Programs, also known as EAPs. These programs provide referrals to mental health professionals and other services. Companies can think outside of the box by offering educational programs on issues related to mental health topics, facilitating peer support groups, and ensuring that their chosen health insurance plan covers mental health services, including therapy and medication. Everyone knows that staying in shape and eating a healthy diet should be top priorities, but many people still require a little something extra to make that commitment. Incentive programs are incredibly popular with employees for this reason; it gives them an additional boost towards meeting their fitness and health goals. Incentive programs can take many forms, from having competitions to see which department can walk the most steps in a given week (with a reward) or reducing health insurance rates for employees who meet health or fitness thresholds. This could include incentives for employees who stop smoking, lose weight, or meet other targets. Rewards can be anything from gift cards to cash to time off to company swag. Just remember that employees still have a right to privacy and that employers may get themselves into hot water if they require participation in specific programs. Companies should also keep in mind that certain incentives, such as cash rewards for meeting goals, will likely be deemed taxable income to the employees. While having rewards is a great way to increase participation in wellness initiatives, if it results in a higher tax burden, it may not be popular with employees. One of the most commonly asked for wellness initiatives is a better work-life balance for employees. While this may seem outside of the scope of wellness programs at first glance, having a flexible work schedule can dramatically increase employees’ overall health. A flexible work schedule can be arranged in any number of ways, such as by offering flextime to allow employees the freedom to come to work and leave work at different times to accommodate their needs outside of the office, such as childcare or taking care of a loved one. Employees can be given the opportunity to work from home at least one day per week, which reduces the stress and cost of commuting and gives employees an often-needed break from the office environment. A company may also consider extending employees’ break times so that they have a better opportunity to exercise, relax, or recharge during the day (particularly at lunch). Flexible job arrangements show employees that their employer supports them and is willing to assist them in reaching their fitness goals. Giving employees more time to exercise at work or the freedom to change their hours or work from home when possible shows that your business is committed to their health and wellness — which is crucial in a successful employee wellness program. 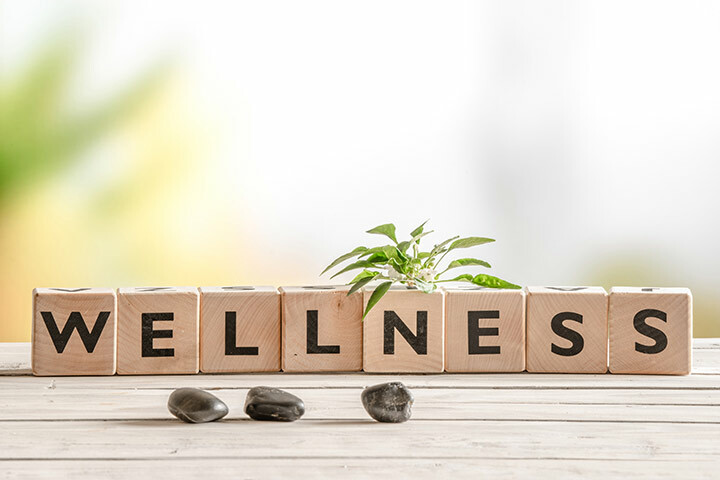 When it comes to establishing an employee wellness program, you may be overwhelmed by the choices available and how to best design a program that employees will actually use. A benefits consulting firm can assist in this task by going directly to employees to find out what wellness initiatives would make the biggest impact on their lives. With this analysis, a benefits consultant can then create an employee wellness program that suits your business’ needs and budget. A consultant can give you a range of innovative and traditional options, creating a customized plan that will boost employee participation and ultimately lower your healthcare costs. Through the use of technology, a benefits consultant can then create custom communications to help your employees learn about the wellness initiatives available to them. An ongoing evaluation of the program’s success will help your business decide whether to continue with particular options or explore new alternatives to your current plan. With the support of a benefits consulting firm, you can be assured that all applicable laws are followed and that the maximum benefits are achieved from the employee wellness initiatives. Contact us today to learn more about how you can establish an employee wellness program at your company.